Whether it’s a family home, share house or apartment for two, there’s always that one untidy person who will create a tornado of mess and destruction. As designers, it’s hard for us to imagine a more counterproductive element than clutter or mess. It’s the enemy of every great design. Even the beautiful clutter of a Boho interior design must be well orchestrated. 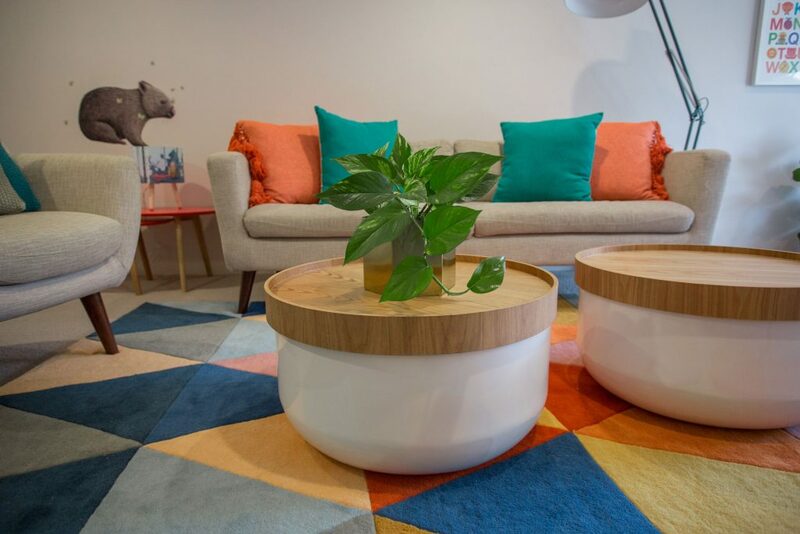 Our great space saving ideas are always popular, and here are a few more space saving ideas to help you keep your cool and preserve the beauty of your interiors. It doesn’t matter how old you are, cleaning is never fun for anyone. Turn cleaning into a game of musical chairs, with each person assigned to a different space or room in the house and given five minutes to clean and tidy as much as they can. Before you know it, within 15-20 minutes the whole house can be cleaned and tidied depending on the level of mess. Try playing it with your untidy partner, pump their favourite tunes and set a timer as you sweep through the apartment on a rainy day or lazy afternoon. Not only does it keep the house clean, but it encourages everyone to maintain the place, as 5 minute rooms can get quite competitive! The trick with untidy people is to eliminate the amount they can make a mess with. Think about hoarders who create piles of clutter. 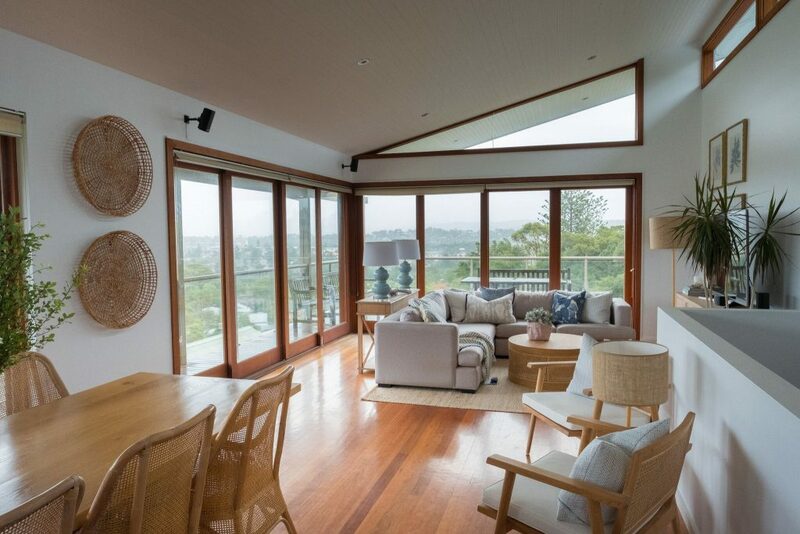 Those with minimalist interior design styles have little to no opportunity to create havoc and clutter in a space. As new items are added and reach the point you’d consider ‘clutter’, force the house into spring cleaning mode. Rid your interiors of any unnecessary items and clear out spaces like the living room, chest of drawers, bathroom cabinets and kitchen bench. Clutter gives the illusion of a fuller space, and mess makers see this as a perfect excuse to add to it. Forcing people to cull their belongings should hopefully create less temptation in the future. If there isn’t an established position for each belonging, how can people be expected to put things back in place? Items that float around are usually the ones that are left on tables and benches. Buying storage baskets, cabinets and drawer organisers will encourage the mess makers to put it back where they found it. Negotiate with the untidy person to find a solution that works for them. Labelling and colour coding works brilliantly for little kids, as well as adults who need some extra direction. Try adding little coloured dots to items such as personal products, and assign them to a matching coloured basket in the bathroom. If the situation is particularly challenging, create a ‘last warning basket’ and add anything that hasn’t been put back. After two days, if it’s not claimed, it goes in the bin – no exceptions! 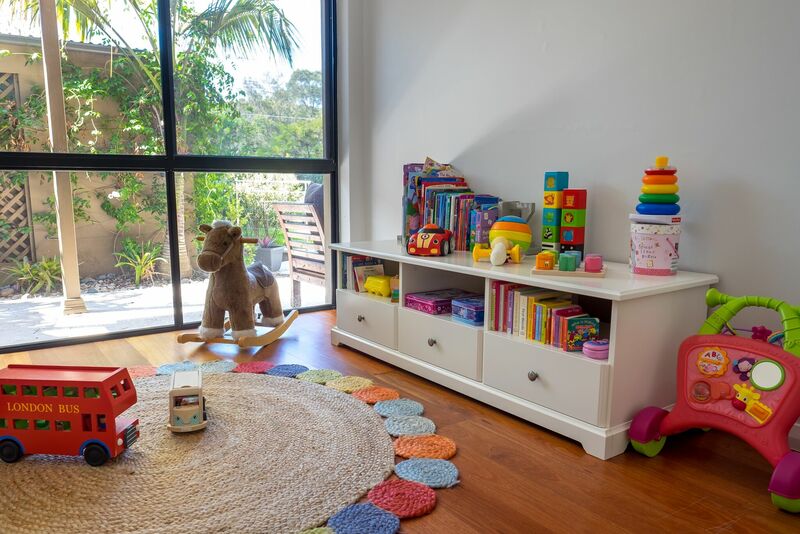 Designbx client Corinna uses these tables which are also storage tubs – the perfect storage solution for any playroom in Corinna’s Coastal Transformation! Everyone needs a bit of guidance, and those who love to organise love charts! If you live in a share house or with a large family, combating mess requires military precision. As a team, figure out essential chores that need to be done daily, weekly and fortnightly to keep the palace fit for royalty. On a whiteboard, draw up a simple chart that lists duties to be completed, and assign people in turn to complete them. House meetings can be called if things are going pear-shaped, and use the power to name and shame! For the untidy folk there’s nowhere to hide, as they can only be responsible for the task they have been assigned to. With these space saving ideas your home will enjoy a Cinderella-style transformation in no time. With a light push (or a heavier shove!) your housemates and family can assist you to keep the castle clean. Experiment with each option and embrace the ones that get the most cooperation while keeping the atmosphere in your home light and fun. If you need help with styling or designing an organised home, we are here to help!